Cransley Sailing Club supports the policy set by Anglian Water and the Department for Environment Food and Rural Affairs to help restrict the spread of non-native species in our water. 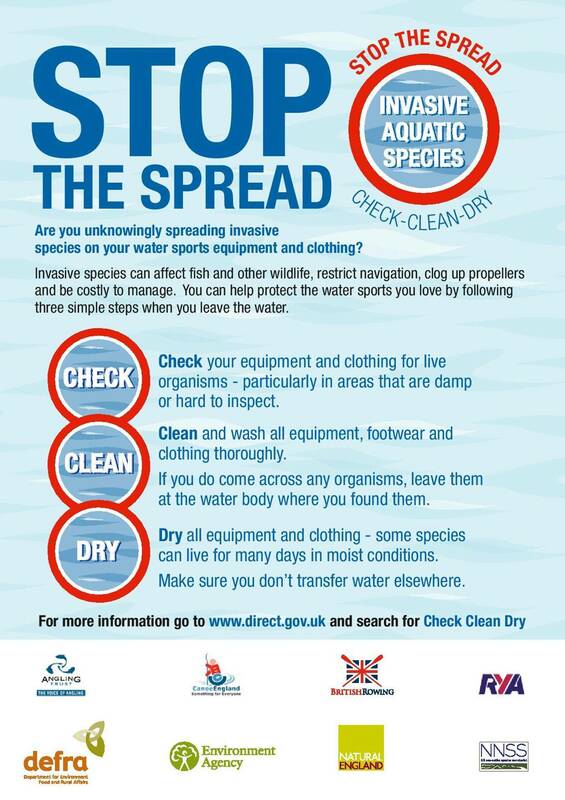 The principle of Check Clean Dry already applies to craft and equipment leaving our premises and the Club members would like our visitors to support this initiative by ensuring that their boats and equipment are washed down before they leave other sites and are dry before being used on Cransley's water. As a guide there should be a minimum of two days drying time between wash down and being used on another water.